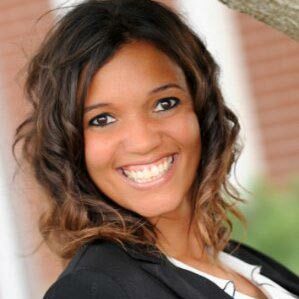 WASHINGTON, D.C.— Institute for Organization Management, the professional development program of the U.S. Chamber of Commerce Foundation, announced Alyssa Lowe, marketing and communications manager of the Kosciusko Chamber of Commerce, has been awarded a Regent Scholarship. Given to professionals across the country, Regent Scholarships recognize each recipient for their involvement in industry professional organizations, community service and professional background. Since its commencement in 1921, the Institute program has been educating thousands of association, chamber and other nonprofit leaders on how to build stronger organizations, better serve their members and become strong business advocates. Institute’s curriculum consists of four weeklong sessions at five different university locations throughout the country. Through a combination of required courses and electives in areas such as leadership, advocacy, marketing, finance and membership, Institute participants are able to enhance their own organizational management skills and add new fuel to their organizations, making them run more efficiently and effectively. Each of the Regent Scholarship recipients will attend one of Institute’s five sites in 2015. At the completion of the four-year curriculum, each of the recipients will receive the IOM graduate recognition, signifying completion of 96 hours of course instruction in nonprofit management and their commitment to the industry. In addition, all credit hours earned through Institute may be applied toward the Certified Chamber Executive or Certified Association Executive industry certification. Graduates of Institute receive the IOM recognition, signifying completion of 96 hours of course instruction in nonprofit management. In addition, participants can earn credit hours toward the Certified Chamber Executive or Certified Association Executive certifications. Nearly 1,000 individuals attend Institute annually. The U.S. Chamber of Commerce Foundation is a 501 (c)(3) nonprofit affiliate of the U.S. Chamber of Commerce dedicated to strengthening America’s long-term competitiveness.